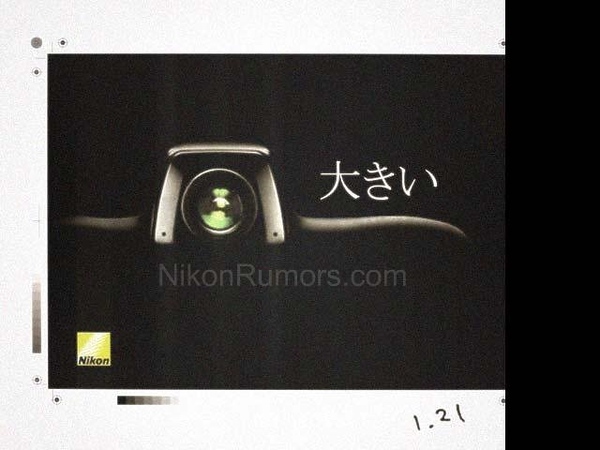 Nikon Rumors just keeps cranking out the goods with another Nikon ad, purportedly from Japan. Either NR has a solid source for leaks or someone is playing a “big” prank on them. 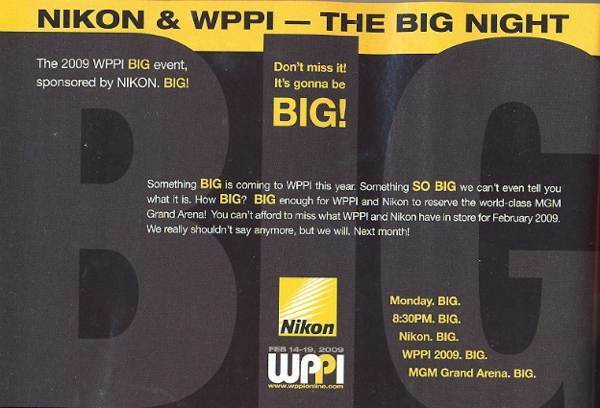 Also, see past posts on the first leaked ad, Nikon MX format and the “Big” news from Nikon. New rumors have surfaced over at Nikon Rumors regarding the Nikon MX Format. Although no sources or specific information has been revealed, NR is reporting that they’ve heard some things through the grapevine about the MX Format’s arrival. The biggest rumor of the bunch is a possible March 2009 announcement and availability date. Also news on the sensor development and the shocker that the Leica S2 gave to Nikon’s MX dev team. Oh yeah, NR says they may have a photo coming soon as well.